[Aside] Rarely do I plug a shameless self-promotion, but I believe now is the time to mention a great opportunity to try it for yourself. I want to invite you to try out both AR and VR live experiences at our Live Lunch & Learn in Nashville or Knoxville. You can find out more at: http://info.esourcetn.com/blog/taste-whats-possible-knoxville-nashville-seminar-lunch-learn. We hope you can join. Augmented Reality: Remember Pokémon Go? While they were not the first to use AR, they brought the understanding to the masses. While you may not be able to create a game that incorporates your brand elements or educates prospects to your services, you may be able to incorporate AR into your booth. You could have graphics or miniature figurines in your booth that when detected by a tablet or phone app, they play pre-selected videos or take the user to parts of your microsite dedicated to your products. This will be much more effective if you have an engaging booth staffer to walk your visitors through the experience, and only offer it when it is relevant to the visitor..
VR Immersive: Do you sell an experience or are you hoping to transport your visitors to an explicit location? Virtual Reality (VR) headsets, phone add-ons like Samsung VR glasses, or Google Glass may be just the way for you to transport your visitors there. You can rent VR headsets from multiple vendors, but the most important thing is to determine where you will get the content. There are vendors that specialize in creating custom VR content for you that could add on to existing video content or create it all from scratch. Imagine your users walking into a virtual factory or clinic environment and being able to “turn on” a piece of machinery and see how it works in that virtual environment. One thing to consider is showing the content in a separate monitor so people walking by or standing in line can view what one of the participants is currently experiencing. Be wise when using motion because it can be tricky. Motion can make people feel nauseous that may not end well and be associated with your brand. Be careful how you move them in spaces. Be sure to include audio. Audio is tremendously important in VR and is as just as vital as visuals for full immersion. Demo’s should be between 1 – 4 minutes (under 2 is better for shows). Take your time and ease people into this new environment. Many people have not experienced VR before and it can be a bit over whelming with their first experience. It is tempting to shake people up with a scary experience, however I would recommend caution, using fast moving sequences (think house of frights) or heights for example. Be careful not rely on users looking in a particular direction, it could back fire because of being distracted by something in background or otherwise and important points can be overlooked. Keep it simple, resist the urge to add too many controls. Attendees need time to acclimate to a VR experience, and time is too short to learn complex interactions. Do not put objects in close proximity to the user’s face. The effect is the user can feel a bit cross eyed. Green Screen Games: Allow visitors to get in front of a green screen and have their image married into pre-selected virtual environments shown on a screen to attract attendees to your booth. Often these games are themed to be unique products, locations, or even allow some gaming interaction. An added advantage to traditional VR is that it doesn’t require special goggles or glasses. There are several providers that will bring all equipment and even a facilitator to your event. You could work with them to create content that would allow your prospects to virtually interact with your product in a fun way. This would clearly be more engaging if you are promoting a famous rock band than if you are selling printer paper, but in that case, maybe you can just leverage a fun theme that relates in some way to your product or brand. 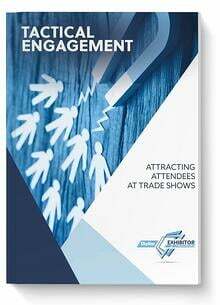 Live Streaming: Do you want to extend the value of your meeting or trade show presence? If so, you can stream parts of it to stakeholders who will not be able to attend your event. 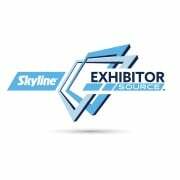 Some good examples of content to share are product or service demonstrations, a tour of your booth or the event venue where you share what products you will be showing, an interview with someone involved in product development or training, or even a client testimonial. You could share the information using many options including Facebook Live, YouTube’s live streaming feature, or the tried and true Periscope. Touchscreens & Digital Kiosks: Another option to consider if you are unable to bring or demo your products at your event is to feature a large touchscreen or kiosk where visitors can access their own content. Of course, you will want to also have a staffer at the ready to take the lead, qualify them, and guide them into the content. However, you can have several mini videos, questionnaires or games they can access by using the touchscreen so they can explore at their own pace. If you are on a budget, even iPads on stands can work for this purpose. Pre-Recorded Videos: Videos are a fantastic way to showcase your products at the show when it is not practical to bring them. You can tape a mini-demonstration set-up, or a mini testimonial and then show it as appropriate to qualified trade show visitors. The video can be educational, informative, and even a little fun depending on your industry. You can have the videos professionally created, re-purpose an existing video by making it shorter or using it as is, or even filming something yourself. I have seen great videos created with an iPhone and a tripod (you can use an iPhone plug as an impromptu tripod in a pinch)..